Even though it's been illegal for decades under the Horse Protection Act (HPA), gaited horses continue to suffer from a cruel and painful practice known as soring to achieve an unnaturally high step known as the "Big Lick." Horses are subjected to the pain of having caustic chemicals applied to their legs, which can be intensified with the use of chains, in addition to other measures that range from the use of pads and stacks to painful pressure shoeing. To further the abuse, some unethical trainers also condition horses not to react to the pain in order to evade detection. Unfortunately, insufficient penalties and a lack of enforcement have allowed this practice to continue. 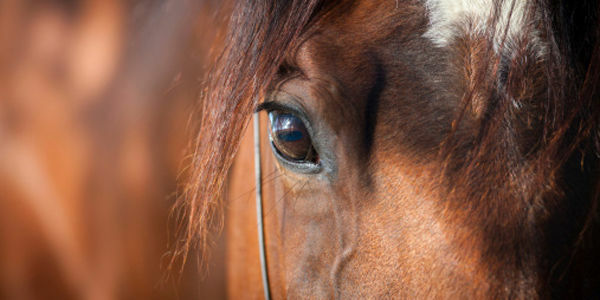 The Prevent All Soring Tactics (PAST) Act (H.R.3268/S.1121) will address the shortcomings of the HPA and offer horses more protection by ending self-regulating practices and requiring shows to use USDA inspectors, banning the use of action devices, including chains and stacks, that cause pain on top of soring and increasing penalties for those who keep torturing horses. Additionally, soring would become a felony, the HPA would protect horses at home and a third offense would result in permanent disqualification. Please sign the petition asking your representatives to support this important piece of legislation and help end the barbaric practice of soring. As someone who cares about the welfare of animals, I am writing to ask you to support and cosponsor the Prevent All Soring Tactics (PAST) Act (H.R.3268/S.1121), which will help end the unquestionably cruel practice of soring horses. Even though its been illegal for decades under the Horse Protection Act (HPA), Tennessee Walking Horses and other gaited horses are subjected to the pain of having caustic chemicals applied to their legs, which can be intensified with the use of chains, in addition to other measures that range from the use of pads and stacks to painful pressure shoeing. To further the abuse, some unethical trainers also condition horses not to react to the pain in order to evade detection. The PAST Act will address the shortcomings of the HPA and offer horses more protection by ending self-regulating practices and requiring shows to use USDA inspectors, banning the use of action devices, including chains and stacks, that cause pain on top of soring and increasing penalties for those who keep torturing horses. Additionally, it will increase penalties for violators. People have turned a blind eye to this abuse for far too long and allowed the practice of soring to continue. I sincerely hope you will support this bipartisan bill and help end this barbaric practice for good.